Luxury train travel is like stepping back in time to a romantic age. When the journey itself was as anticipated as the destination. Handsomely crafted compartments. Elegant dining cars and gourmet meals. Comfortable lounge cars where you can savor a nightcap with fellow travelers. Today, luxury train travel evokes the gracious hospitality of those bygone times. From short trips (3.5 hours from Cusco to Machu Picchu trip) to longer trips over multiple days and multiple time zones (trans-Siberian crossing), you’ll find luxury train travel in Europe, Asia, North America, South America, and Australia. VENICE SIMPLON-ORIENT EXPRESS Travel in the restored vintage carriages of the Venice Simplon-Orient Express along the legendary Paris to Istanbul route, made famous in the Agatha Christie novel, “Murder on the Orient Express”. 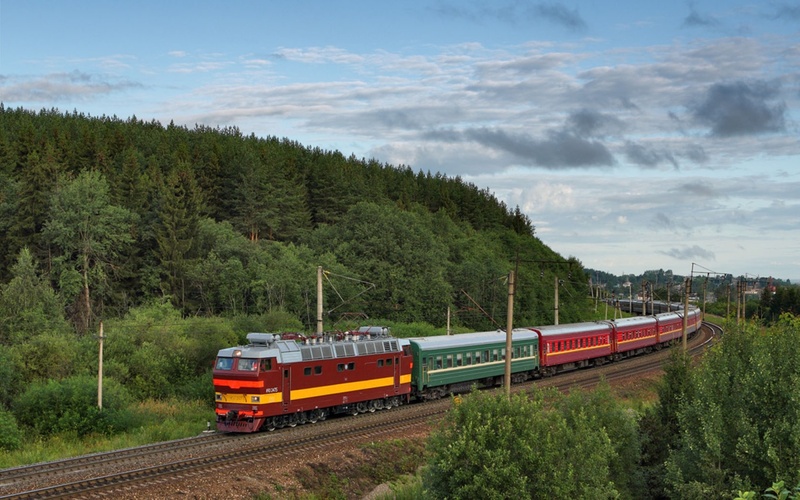 GOLDEN EAGLE TRANS-SIBERIAN EXPRESS Experience a once-in-a-lifetime adventure and traverse the 6,000-mile journey across eight time zones from Moscow to the port town of Vladivostock. ROYAL SCOTSMAN Tour Scotland’s mysterious lochs and glens on the Royal Scotsman. This luxury train accommodates only 36 passengers offering a truly intimate experience. And, the Royal Scotsman pampers you with five-star dining and wine pairings. MAHARAJAS’ EXPRESS Travel from Delphi to Mumbai on the luxurious Maharajas’ Express, IRT’s newest entrant to the World’s Top 25 Trains. The Maharajas’ Express offers state-of-the-art accommodations and large picture windows to witness the exotic landscape of India. Traveling by train is a very glamorous and exotic way to travel. And staying connected while traveling is a breeze with Wireless Traveler’s Pocket WiFi Hotstpot. You can tether up to five devices at one time with unlimited data, while enjoying a secure and reliable WiFi connection. Our current special offer is only $99 for a week of unlimited data. Call now to order your unlimited data package at 1-866-700-3883 or email at support@wirelesstraveler.com.